She went on the show Monday night to discuss the government shutdown, her way of doing things, and her response to critics on Twitter. 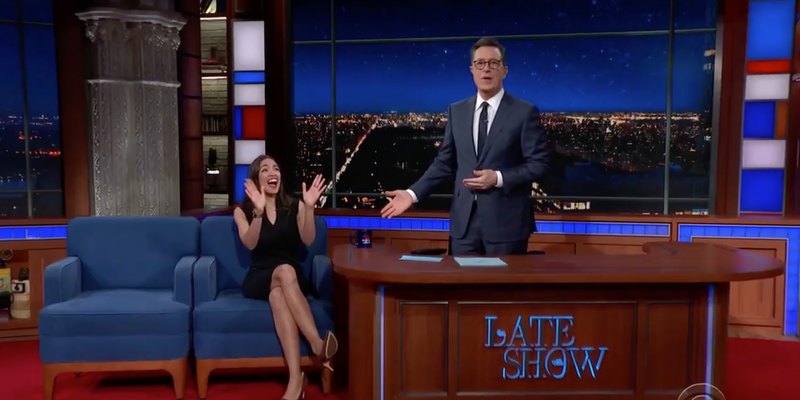 Ocasio-Cortez made the statement after Colbert asked her: “On a scale from zero to some, how many f—s do you give?” about the criticism. Freshman congresswoman Alexandria Ocasio-Cortez said she gives “zero” f—s about criticism from fellow Democrats telling her to rein in her unorthodox policy proposals.